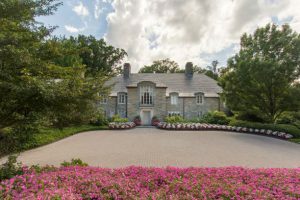 You are invited to Friendship House’s cocktail party Thursday, October 4, 6 pm – 8 pm, held in one of the most gorgeous homes in the area. This is an opportunity to support Friendship House and its many life changing and life saving programs. Friendship House is supported by its community. Because of your support we are able to offer programs where men and women who are fighting for their lives are supported in a holistic programming. Staff and volunteers walk alongside each person who walks through our doors putting aside judgement and treating each person with dignity. With an annual budget of almost $1,400,000 we need your support to keep these crucial programs going. Please consider attending or supporting our annual fundraising event! Each year, a generous friend of Friendship House opens their house to host this wonderful event. There are light refreshments and a chance to meet your favorite Friendship House staff member, meet some of our graduates of our programs, and our board members. To purchase tickets, click here. To be a sponsor of the event, click here. This year’s party will be held at a du Pont estate, built in 1938, and surrounded by protected land. You don’t want to miss this! Thank you for support. We truly could not do this without you! Hope to see you October 4!